In April, we reviewed climate change related lawsuits making their way through various courts worldwide. Numbering more than 900, these lawsuits focus on the role oil companies play in climate change. Cities, states — and even groups of children — are seeking to hold companies accountable, but these closely watched legal efforts are facing an uphill battle. From California to Colorado, Massachusetts, New York, and all over the world, climate change is being debated in state and federal courts. 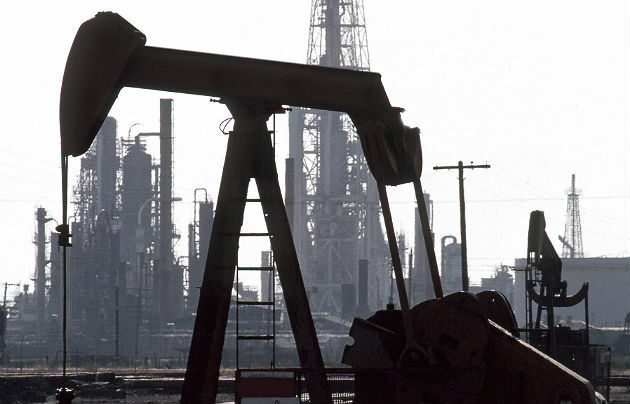 Recently, a California District Court judge threw out a lawsuit introduced by San Francisco and Oakland against the five largest oil companies: Exxon, BP, Chevron, ConocoPhillips and Royal Dutch Shell. This case was closely watched by local governments that struggle to pay for necessary infrastructure changes. For those who strategized that the judicial branch may be a successful ally in the fight against climate change, this recent ruling comes as a demoralizing blow. In fact, in a 16-page ruling, Federal District Court Judge William Alsup explicitly stated that the legislative and executive branches are more appropriate places for handling the climate change issue. One positive development is that Alsup acknowledged there’s a link between burning fossil fuels and global warming. However, Alsup was also quick to tip his hat to Big Oil’s role in the development of the modern world. He states, "Our industrial revolution and the development of our modern world has literally been fueled by oil and coal. Without those fuels, virtually all of our monumental progress would have been impossible." Alsup also dismisses the idea that harmful carbon emissions are caused by fossil fuel use, not production. In other words, it’s the fossil fuel consumer who is to blame for climate change. The ruling upsets those who want to use legal measures to make the largest oil companies pay for climate change, and it pleases those critical of the tactic of using courts to target specific companies and enforce climate change accountability measures. In the case of the San Francisco/Oakland, and other cities, the idea is to use public nuisance law, which holds parties accountable for actions interfering with property usage. There has been a debate about the best venue — state or federal court — for these lawsuits. There’s more hope for state courts since similar federal public nuisance arguments have already been defeated. In fact, there’s similar pending legislation in California’s San Mateo and Marin counties being heard in state court now. One other significant legal challenge to Big Oil comes from New York City, as Mayor Bill de Blasio has called for fossil fuel divestment and has spearheaded a federal case against oil companies in the Southern District Court of New York. This suit specifically holds that the largest oil companies accountable for producing "11 percent of all of global-warming gases through the oil and gas products they have sold over the years." Clearly, Judge Alsup’s ruling has reverberations nationwide, and even globally. We will have to wait and see how the ruling impacts other pending lawsuits, and how organizations and citizens rethink efforts to prevent climate change catastrophe and prepare for impending damages.